The common assumption among citizens is that the most basic duty of the police is to protect and serve the community. The entire community, that is. 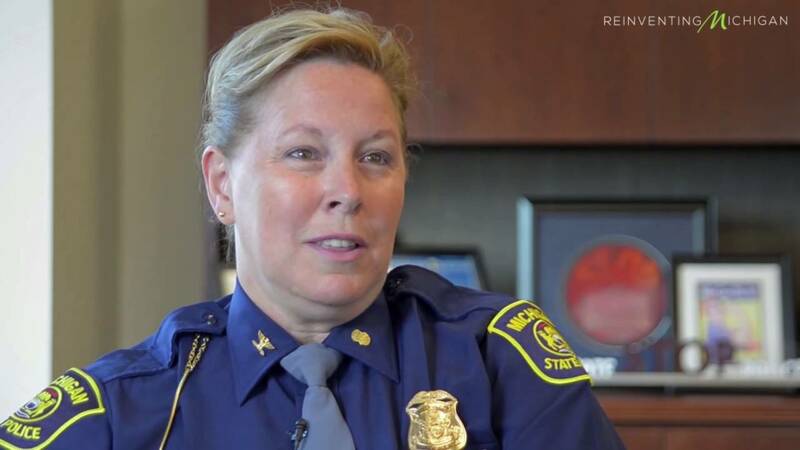 I think it’s safe to say that Michigan State Police Col. Kriste Etue no longer fits that description. The question, at least for me, is whether or not she has the capacity to fully comprehend what it would take to be an actual public servant. Etue became swallowed by a media firestorm after posting a meme on her Facebook page that criticized any and all NFL players who had the nerve to take a knee in protest during the National Anthem as ‘degenerates’. It’s interesting to note there is no record of Etue referring to the neo-Nazis and other white nationalists who marched down the streets of Charlottesville recently carrying torches and chanting racist slogans as ‘degenerates’, but I’ll just let that oversight sit by itself for now. Because sometimes the absence of commentary is commentary enough, and what Etue didn’t say says plenty. But here’s the thing; since this firestorm has blown up, some are calling for Etue to be fired from her position, as in immediately. Kenneth Reed, from the Detroit Coalition Against Police Brutality, has announced that his organization is making plans for a demonstration against the Michigan State Police. “Leadership begins with respect. And there’s nothing more important than respecting the constitutional rights of our citizens. State Police Col. Kriste Etue’s recent Facebook post shows a lack of respect for the people she serves and the post she holds. Not surprisingly, Gov. Rick Snyder, through his spokeswoman Anna Heaton, said he has no intention of firing Etue, that she has apologized, that she has served “with distinction as an outstanding public servant for decades,” and that’s that. “The governor will not be asking her to resign,” said Heaton. Don’t expect that position to change. This is the same man who didn’t see the Flint water crisis coming and probably still doesn’t get what he did wrong. So should Etue be fired? At this point there’s little question that she needs to go, for the sake of what little integrity the MSP has left. But firing her alone (if Snyder would ever change his mind on this which I consider doubtful) will not solve the much deeper problem. In fact, it might be the easiest solution there is, because then the MSP can then sweep the issue under the rug, declare the problem solved, and go on with business as usual. With no guarantees that the next person to take her place won’t be more of the same or even worse, but with better social media savvy. This is a problem that needs to be rooted out and deleted, not just painted over. This is an organization that is in desperate need of an overhaul, and firing Etue would only be a first step among many that would be required to transform the MSP into what it needs to be to effectively serve all the citizens of Michigan. But until that happens? The Michigan State Police will be viewed by many as much more of a threat to be feared than as anything resembling a public servant.